Challenge: Over half a million children are the subject of abuse in the UK each year. Where a child is no longer able to live with a birth parent, they are put into the care of the Local Authority. On any one day across the UK, 63,000 children are living with foster families. About 50% of foster placements for teenagers break down. If a child’s first placement breaks down, they are likely to enter a cycle of breakdowns which reduces a child’s opportunities to develop secure attachments. It may also exacerbate existing behavioural and emotional difficulties. In some cases, this behaviour becomes so challenging or detrimental, that a child ends up being cared for in a secure children’s home. These homes cost over £200k per year per place, following which, research shows, it is often far harder to reverse these behaviours. Investable Solution: The Manchester Treatment Foster Care programme is a social impact bond providing therapeutic foster care for young people in Manchester, and was commissioned by Manchester City Council. 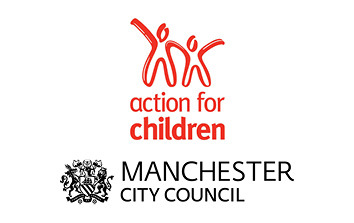 The programme is delivered by Action for Children, one of the UK’s largest children’s charities, working with over 250,000 children, young people, parents and carers and running 600 services across the UK. For this programme, Action for Children will find specialist foster placements for young people who are currently living in residential care homes. The foster carers will be trained to provide multi-dimensional treatment foster care (MTFC), which helps young people with challenging emotional and behavioural difficulties move back into family settings. Outcomes: The programme has moved 12 young people into stable family placements, with wrap-around support.